This past year was business as usual for Wilco, as the long-running alt-country act released yet another new LP, The Whole Love. Now, the group are capping off their 2011 campaign by streaming a live concert for free through their website. 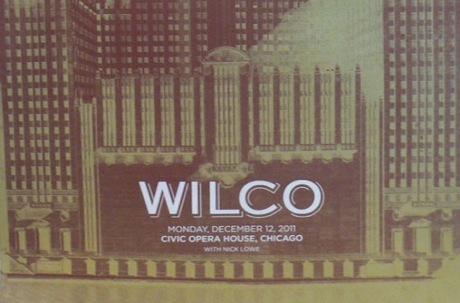 If you head to WilcoWorld.net, you can hear the band's show on December 12 at Chicago's Civic Opera House. The 27-song set features guest appearances from Mavis Staples and Nick Lowe, and includes a cover of the Band's classic tune "The Weight." As Consequence of Sound and Psych Explorations of the Heart point out, this show was one of five Chicago gigs from this month. Listen to the set here. Wilco will be staying busy in 2012 with a North American tour that includes a stop in Vancouver.